These photos were taken at a pollinator garden that my city created near our lake. I love how Greenbelt thinks of so many great ways to beautify the community while benefiting the environment. I've lived in the historic part of Greenbelt for over a decade and fall more and more in love with this town every year. I don't normally do this, but I own these earrings in two different colors. I bought the ivory thinking it would be a good choice for what I wore the last night of the rewardStyle conference, but after I found the J. Crew earrings and liked the effect better. Since these aren't so big, they get more wear everyday and don't look too extreme for the office. And NYC folks, I hope to see you May 19th! I'll be at the Gwynnie Bee Flatiron pop-up shop from 5-8pm. There will be a Facebook event later this week but in the mean time you can find out more information here! 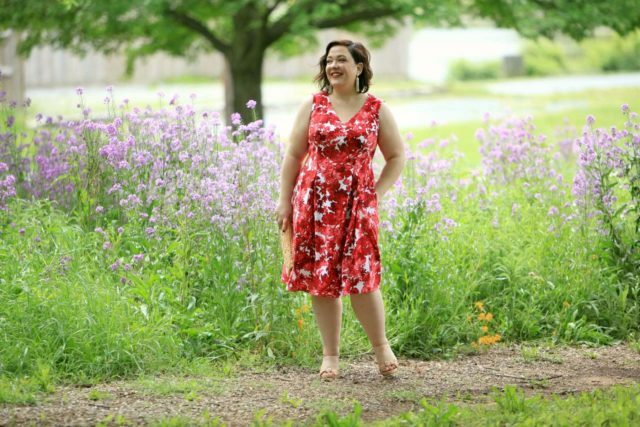 I've been a member of Gwynnie Bee for almost five years and it's such a great way to have new clothing for work, special occasions, and to update the staples in your closet. This is the kind of dress that is great for work, date night, a daytime wedding but it's very memorable. 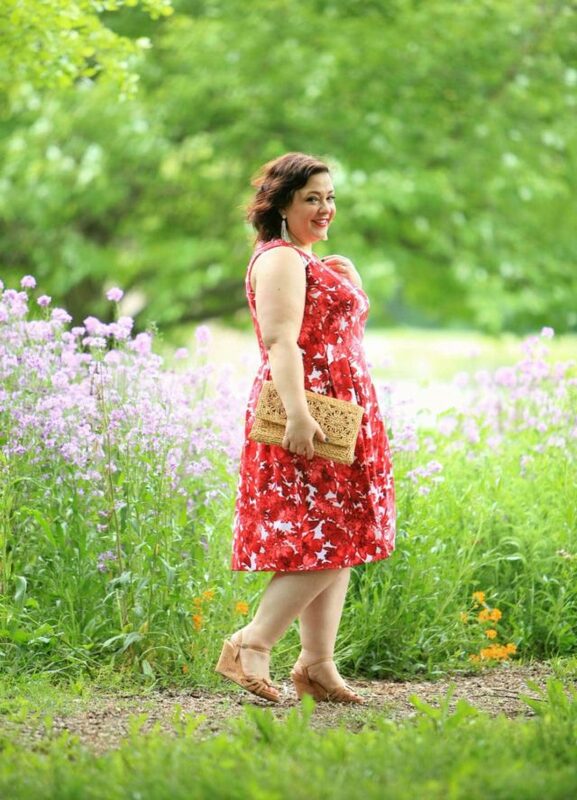 I used to buy such a dress because it's pretty and flattering but only wear it a handful of times before being tired of the print or silhouette. 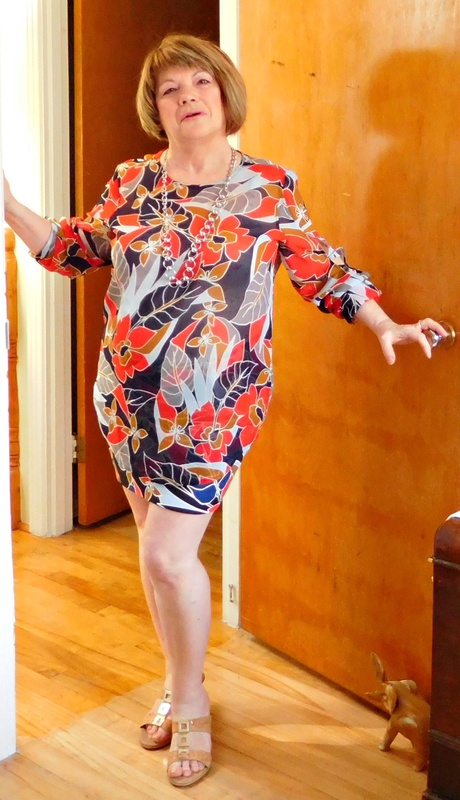 With Gwynnie Bee, I can rent this dress, keep it for one wear or for weeks of use, be able to have other pieces come in and out my wardrobe all for less than the price of the one dress. 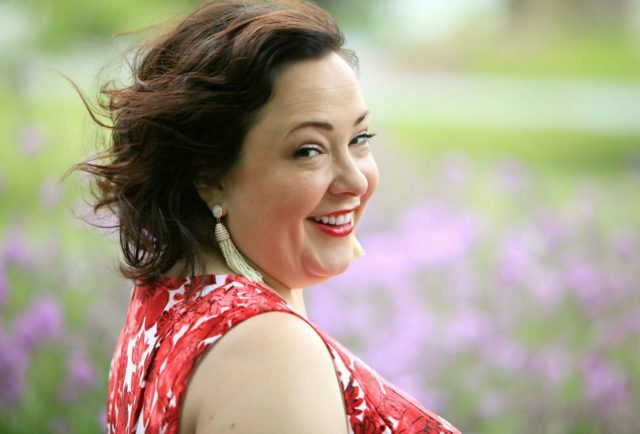 I especially love Gwynnie Bee this time of year, I have a new dress for every shower, Christening, wedding, and birthday on the calendar and no dry cleaning bills! As always, if you'd like to try Gwynnie Bee, use my referral link and try out the program for free for 30 days. Love the dress but I just can’t go with no sleeves. great dress! 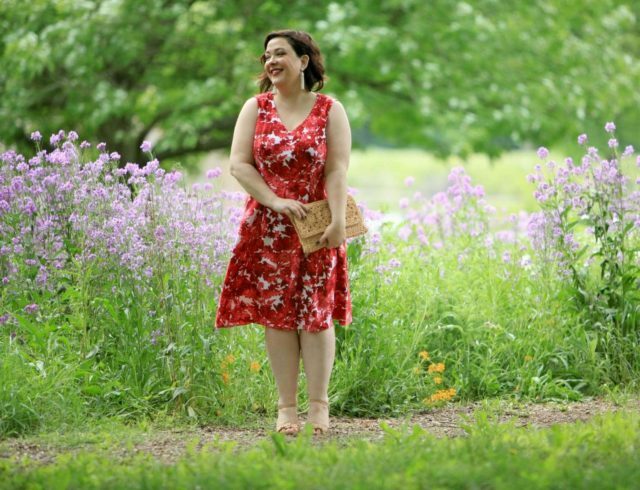 I have a London Times dress that was gifted to me – it surprised me how much I like it! What a lovely series of Spring photos! You look so fantastic. Love the dress! I really love London Times dresses too. I just ordered 6 dresses from Nordstrom rack and I believe 4 of them are London Times. I hope I don’t like all of them! It’s my intention to try them on and send a few back.I’m going to bite the bullet and use your Gwynnie Bee link finally. P.S. I just happened to run across an ad for JCPenney and saw a dress that I ordered from the Rack. London Times, same dress, $36 MORE at JCP. I was surprised! Woah, that’s crazy! I wouldn’t expect JCP to be pricier… well maybe I would. Also I’ve found similar at Macy’s, they sell items for more than Nordstrom. And people think Nordstrom is too expensive! gorgeous dress! looks so good on you!!! This dress looks so pretty on you! And your lipstick is perfection. Fit and flare looks great on you. It’s a flattering silhouette for sure! Man you look so fabulous Allie!! The dress…your smile…it’s so lovely!! You look so beautiful in this dress! The color and shape are perfect. And it has pockets?? Score! I want this dress. What is the fabric like? It’s hard to tell from the photo. And is it dry clean only? It’s like scuba fabric, but not as stretchy. I’m not sure what the tag says, but this fabric and style would do great on the gentle cycle and line dry. It’s my favorite reason for the membership! Saves me from so many retail regrets!